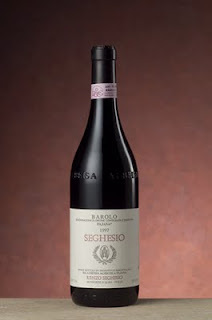 Here's a Barolo that takes on a character unlike many of the others. Instead of sweet fruit perfume and a medium bodied profile, this wine is dense and earthy with exotic characteristics. It changed often in the glass throughout a recent meal at a top notch Italian restaurant. For $50,this wine reminds me of a hearty Burgundy. While probably not fully mature at 10 years of age, it nevertheless shows an evolving complexity. This wine will make you stop and think- so don't serve it as a toast with friends to get a party started. Serve it to your wine geek friends who take tasting notes... oh, that's me. Raise a glass!